Charles Dickens' A Christmas Carol coloring page features Ebenezer Scrooge,a cruel, cold man who doesn't see the good in many things. Bring some holiday cheer to the house with a fun paper craft! You and your child can colour and cut out this elf figurine, perfect for decorating the mantle. Your child will have fun strengthening her maths skills while honing her reading comprehension with Christmas word problems. Feel the Christmas spirit with these Christmas word problems. 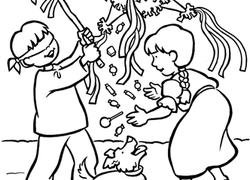 Kids will calculate the numbers of carolers and more in this fun Christmas maths worksheet. Test comprehension with this vocabulary page for "The Elves and the Shoemaker" by the Brothers Grimm.